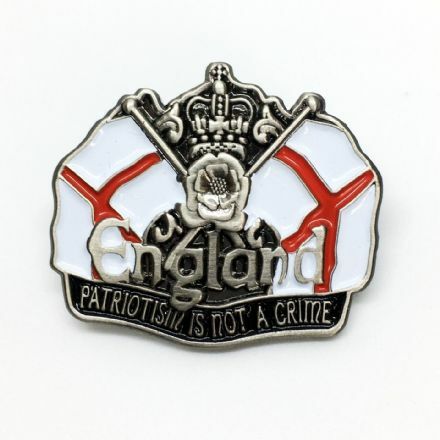 Leather medallion England keyring with Cross of St. George England flag design. Fly the flag and hang your keys on this. 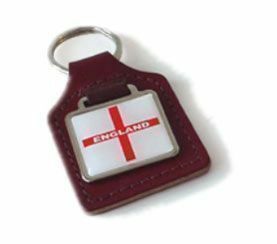 Leather England keyring with Cross of St. George England flag medallion. 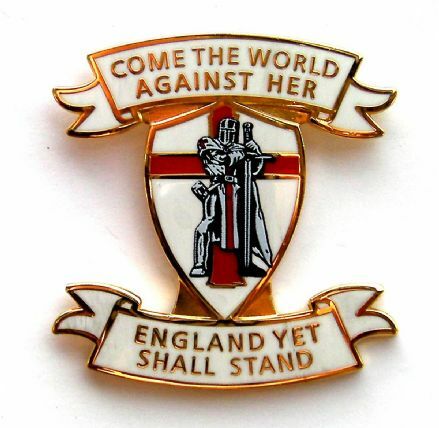 England Lapel Badge "Come The World Against Her - England Yet Shall Stand"
Premium weight cotton t-shirt with stylised Warrior/Crusader print and the legend "Come the world against her, England yet shall stand"
England Badge "Patriotism is Not A Crime"
"English" T-shirt - Black . 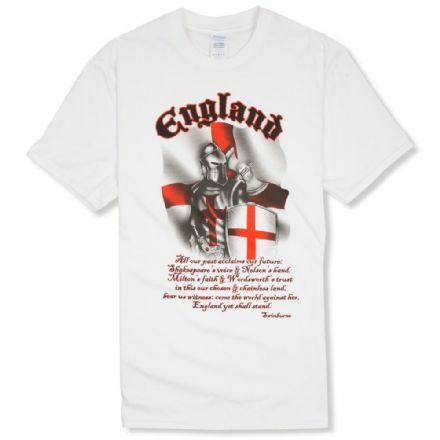 100% cotton premium quality t-shirt. 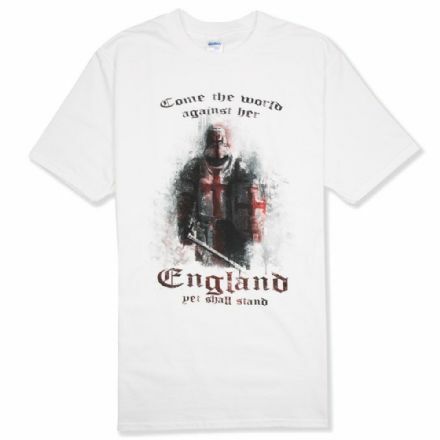 St George Cross print and the wording English. Red, white and sports grey versions also available. 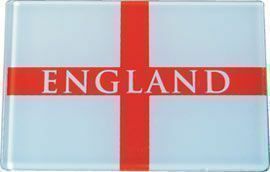 England Rear Window Car Sticker. Printed on to self cling vinyl to be applied to the inside of window to be seen from outside. 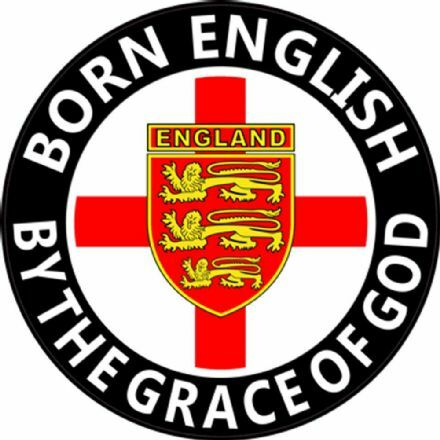 England Car Sticker with the wording "British by Birth, English by the Grace of God". 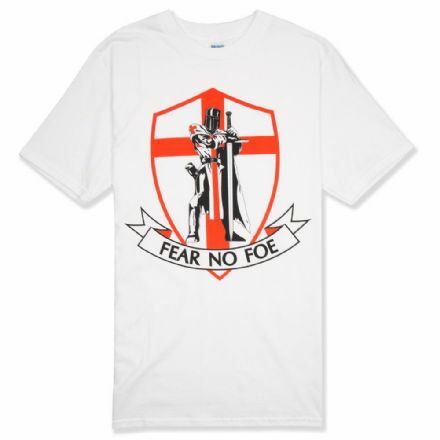 The design also features the St George's Cross. 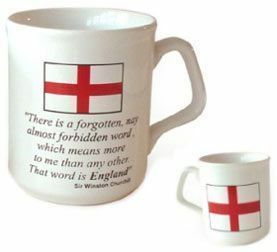 England mug with Churchill quote "There is a forgotten, nay almost forbidden word, which means more to me than any other. 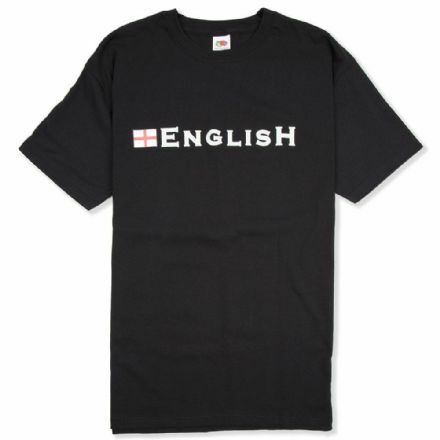 That word is England". 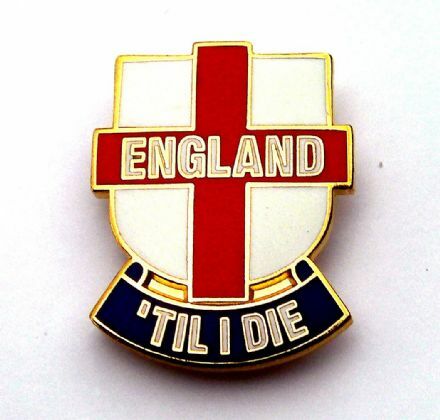 Official FA England Merchandise - Spinner Metal England Keyring with 3 lions England logo. The middle bit of the keyring spins around.